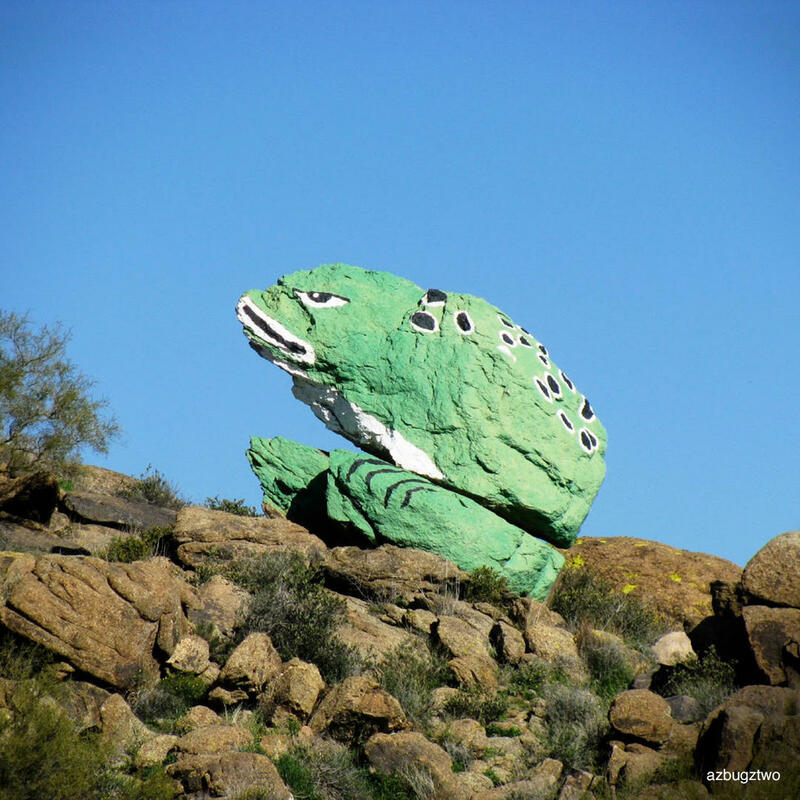 On Highway 89, in the desert community of Congress you may notice an outcropping of rocks painted green and looking very much like a frog. Frog rock was painted green in 1928 by Sara Perkins, a homesteaders wife who noticed the rocks froggy resemblance. The 60-ton frog rock has become a landmark since then and the people of Congress have taken on the task of keeping the frog its rightful color!